An executive from the Inquirer Group expects that its paid digital subscriptions will exceed the number of print home and office delivery subscribers for the first time by the end of this year. Rufino explains that they have “deliberately dropped” such a strategy in attempt to present Inquire Group e-paper products as place to read great content rather than a mere ad corkboard prevalent in most digital content. “No flashing banner ads, intrusive pop-ups or anonymous comment trolls are found in the e-paper. The Inquirer e-paper aims to deliver an uninterrupted reading experience as befits a premium subscription product,” he adds. Stories can also be shared stories through email, Twitter, Facebook or even clipped on Evernote and Instragram, expanding the newspaper’s appeal into the social media space. 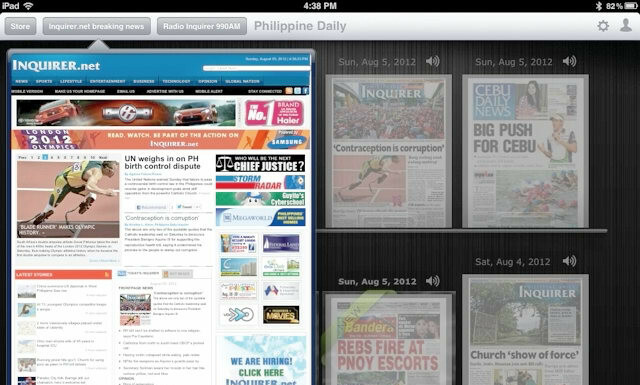 Inquirer’s e-paper works in tandem with the Inquire Mobile app, which was updated last may to a have an augmented reality function called INQSnaps. Developed by Singapore-based software company Knorex, it instantly beams additional video content when special icons on the newspaper are scanned. While it has invested greatly in rich media content for smartphones and tablets, Inquirer still send breaking news via SMS, saying that the island nation’s mobile landscape is still dominated by lesser mobile devices. “What is next for Inquirer Mobile? As the mobile landscape continues to shift, expect more mobile app, more multiplatform options and new ways of interacting with mobile users, as media consumption increasingly goes mobile,” Rufino concludes. Saatchi & Saatchi Malaysia were coached in lessons of leadership and winning by international rugby legend and former All Blacks c..